MessageGears is the only hybrid email marketing service that combines the power and security of on-premise software with the efficiency and scalability of the cloud. "Decent Email Platform – Could Use Improvement"
What I like best about Message Gears would be the ability to go in and edit HTML very easily rather being stuck with the drag and drop functionality. This is very important because the actual drag and drop functionality causes the email to have bugs in different email clients. The HTML editor itself is extremely irritating, so I have to copy the code into another program to edit and then replace the code in the Message Gears editor. Also, the insights are not as robust as our Hubspot platform. It would be nice if we could see more compelling data such as that. It would also be nice to see the emails running as a campaign. In turn, it would be nice to be able to track the users actions upon receiving the email and to be able to learn more information about who they are and where they are. If message gears were able to become a more robust tool such as Hubspot, then it would be a more compelling tool to continue to work in. We need automated transactional emails that send to users based on a completed activity. Unfortunately, most, if not all, go to spam. Support from Message Gears is not super helpful. "Awesome Experience, Very fast response time"
Expedia OCC team uses messagegears as their email delivery service. From the time I have started working with MG, my experience has been great! They provide a lot of support, and their response time and knowledge breadth are very good! I would really like to see single sign on implemented for expedia, as right now, i have to greate a new account with a different email id for each and every accelerator instance i have to login to. We use MG as our email delivery service. Any email we have to send out to customers, it goes through message gears. One huge benefit of working with them is the excellent support, and the response data we get from them every hour. That helps us a lot to determine which emails have been sent and which have been not. "The secret to our success"
MessageGears has enabled us to send more email more efficiently and more effectively than anyone else in our space. As an email marketing agency, we deal with clients who are either completely unable to deliver their own email on an enterprise scale, or are only able to achieve mediocre deliverability. Many of our competitors struggle with the same problem. With the flexibility and insights that MessageGears makes available, we have a huge leg up. MessageGears requires a substantial learning curve on the back end, and is not a turnkey solution (certainly not one that we could give to a client and let them run with it). There are certain situations where we would like to make a more turnkey model available to less technologically savvy users, but for our team internally -- using it every day -- it is powerful and effective. We deliver more email than any of our competitors, and achieve far better inboxing and engagement than any of our competitors, thanks to the valuable and powerful information we get and utilize in MessageGears. It has enabled us to open entire new product lines for our clients, growing whole new sectors of the company from scratch. MessageGears customer service is great! They are super responsive, helpful, go above and beyond to do what they can to meet our needs. They are also working hard at improving the service and bringing in new features that will help us even more. Can't schedule emails in user's time zone and can't localize email templates for language. We are a global company and offer 12 languages, if we wanted to format emails properly per language and send them to the whole world, that would end up being 36 total marketing campaigns. We would need to report on those 36 campaigns individually, even though it would actually be one campaign. This is extra difficult because there is no report builder to report on multiple emails at once, which is problematic for us because we have to send three campaigns for each campaign so that they send at semi appropriate times (because there is no feature allowing us to send emails in the user's time zone). MessageGears is a useful product that is cost effective. Its localization options are limited and that is the main drawback. Not being able to deliver emails in a user's time zone, and not being able to localize formatting and links for different regions or languages easily are our biggest pain points. We use MessageGears to email the user base for one of our fitness apps. It is a very cost effective option for us and we can do much of what need with it. The MessageGears team is the biggest benefit to this product, they are very responsive and welcome our feedback. Email marketing has been an important tool for our app's success. "Ease of use for custom emails"
What I like most about MessageGears is how easy it is to design custom HTML email templates, duplicate, schedule, and send them. The thing I dislike most about MessageGears is the lack of reporting features for marketing emails. It would be great if there was more of a function to look at the results of your email in a really specific way. Who opened, clicked, bounced, etc. Most email marketing softwares have this feature, which is why I think MessageGears is lacking in this department. I would recommend this product moreso for mass amounts of transactional emails. The marketing email tools are getting there, but still lack the reporting features needed to make this product my preferred method for marketing emails. Sending a mass amount of emails at once. We've realized MessageGears can handle the sending of thousands of emails much better than many other email marketing softwares. "MessageGears - Promising Digital Marketing Solution Software"
A unique product that is among few software's that provides email marketing services that combined the power/security of on-premise capabilities with efficiency and most importantly scalability of consistent cloud delivery. How amazing is that? Not to mention the software is very user-friendly with a *reliable* support staff at your assistance. Intended for large-scale companies. As a small company, we were deterred from our targeted audience and quickly tried to reach other audiences. Didn't turn out so well, ended up wasting more time instead of targeting our niche market. Specifically built for marketers who are data driven at a large scale. It is one of the most promising software's on the market. Side note, do not get if you are a startup or small business. Management wanted to combine data integration, security, and marketing automation at a large scale. Ideally were seeking to expand audience, however this wasn't the case. While this was mainly a managerial decision instead of a software deficiency. "Message Gears Is a Very Good ESP!!!" The simplicity of the product, while still being robust is very impressive. In the past I've worked with 4 other "Top-Tier" ESPs and this is by far the easiest one to use. If there was one thing I could point out that I don't particularly like, is that you must know SQL to write queries. At this point in it's development, I believe they should start working on other ways to write these queries, whether it's drag 'n drop using database attributes or something else. Definitely give it a try. it is a very easy platform to use, but that doesn't mean that it is lacking capabilities. The support staff are very open to hearing from their clients and are eager to take the things you think are missing and get them included in a speedy manner within their next platform upgrade. Deploying emails for well over 150 clients in a fast manner. "Great for interacting with your user database in real time "
MessageGears allows us to be smart and nimble with how our user database informs our marketing campaigns. Our previous tool required us to manually pull and upload lists and we wanted to deep segmentation or include new attributes, while MessaageGears allows for this in real time with some simple queries. Recent updates have enabled us to roll out campaigns translated in our 12+ languages with significantly fewer steps. Their master template library structure has allowed us to create a centralized place for email designs and categorizations so that individual campaign creation is simple. MessageGears is a very robust technical tool, so the main downside is that it can be a tad complex for marketers or those without an engineering background. The campaign creation goes easier for someone who has somewhat of a technical background and the analytics could be a bit more robust on a per campaign basis. Use if you have a database you'd like to leverage in real time. Use if you have audiences in many languages and regions. The analytics and ease of access to accounts. I am able to see all historical emails for the accounts I work with. The UI could use a bit of an update. At times it is difficult to navigate. That said, we do have a lot of data flowing through the service. Use the full tool. Make sure you follow email marketing laws and don't buy lists. Blacklists do not help your situation so be sure to follow MessageGears recommendations. I work for a Marketing Automation firm. I am able to see real-time stats on customer email sends and verify if there are any hang-ups in the email send process. I like MessageGears becuase it just works. Really what I mean is that it's easy to use, quickly provides the necessary information, and it has a user friendly layout. Well, the one thing that I dislike is that they took away the feature of being able to see the Day Summary of sends and what has been send that day. That was super helpful. Use it. It is worth it. Other Email servers don't necessarily have the features and ease of use that MessageGears has. That being said, I really wish that they would bring back the Daily Sent view. I am able to see when an email is sent, how many have received it, a general idea of what they are seeing, and if there are any errors a good idea of what the error is. Thanks Josh! Just a heads up, we'll be adding the day summary back on the upcoming release. We appreciate your feedback! "Allows Runkeeper to create new emails quickly"
Templates for all our emails pieces and use of free marker! The standardized language allows for much easier troubleshooting and solution finding. The new organization structure with folders are also excellent. Also it would be great if I could see what templates shared content is used in. Making a change to shared content feels very much like a gamble a lot of the time. Be sure to make full use of their templates. It might be more front end work but it will work our fantastic for you in the long run! We use Message gears to send all of our emails to our customers and using Message gears allows us to make sure they have a constant look and tone and allow one team to manage it. "Offers the speed and reliability of a Hosted Platform with the flexibility of Enterprise"
Have a person on staff that is good with SQL. MessageGears provides some good data for seeing send performance--initially--as well as checking on sends that were not able to complete. Primarily that individual sends--to one person--are not accessible until the next day. So if a send didn't go out and I'm trying to check the logs in MG, I can't necessarily see what happened. Typically checking on send performance or for errors in sends that didn't go out. Usually it has helped me gain info to take back to the individual sending the email so they can make adjustments to the send for optimization or fixing errors. "Their Support team is amazingly good!" I love the Portal. Would like it to be a bit faster, but it is very easy to use and descriptive. Also, the Support team is always on-point and super helpful. The design could be a bit more modern looking. Here I can check all the emails sent by our services and dig deeper on email events, etc. The Customer Service is great when you open a ticket. I also think the user interface is easy to use. The amount of information you receive on a Bulk Job, for instance, is very helpful. As a user of MessageGears, it allows me to provide great customer service by conveying due diligence in the server to see what is occurring with our customer's emails. Recently the ability to view transactional emails was removed and that was a huge functionality of MessageGears that we used as a company. A huge portion of emails that we send out through our marketing automation platform are one-off (transactional) emails and the ability to see those emails are no longer available which will negatively affect our level of customer service for our customers. We provide technical support on sending emails through Microsoft CRM Dynamics and ensuring email deliverability of them. The ability to quickly and easily see the emails sent through MessageGears is very very helpful as a company and user of this product. Hey there! Just a heads up, we'll be reintroducing the transactional view on the upcoming release. We appreciate your feedback and your business! There were 3 primary reasons we chose to switch to MessageGears from our previous solution- 1) the 'hybrid' solution allows us incredible flexibility with our data, 2) responsive developers & support, and 3) aggressive approach to pricing that fits well with our unique sending patterns. We've been very happy for about 3 years now with the service and the team. All 3 of our initial reasons have remained positives for the service. I would only have 2 areas that we'd consider 'dislike.' The interface for end users doesn't have nearly the polish of a MailChimp, which I do hear about from end users. It is however simple enough that users get up and running with very little training on our side. The other is almost more of a back-handed compliment; because they are constantly improving and adding features to the end-user interface, stuff breaks more often than you'd see on more of a consumer-focussed or less actively updated tool. The unique 'hybrid' approach that MessageGears uses for their service means we have full access to our internal databases, including real-time data on list members both from the mailing platform and from our own systems, without having to build or maintain our own email platform. That ability to access data makes our email more customized and effective and helps us to maintain better deliverability and IP reputation for our lists. "Easy API's and great support for inquiries"
We are using this MessageGears for most of our iMeet product daily meeting invites and other communications to our customers. Our users are receiving emails on time and did not see any major failures. MessageGears has very good API structure and easy to integrate with any application with no time. I always recommend MessageGears email system for any kind of applications which is depends on email system. We had a legacy system where we need to deploy application when we update any email template or translations, that's always depends on developer effort. After migrating our email system to MessageGears we saved ton of time and developer effort to bringing up new templates /translations and delivered emails successfully to end users. "Have Used Many ESPs Including Message Gears"
The List Maker relies too much on SQL. Have had much easier used list makers with other ESPs. Definitely take a test drive of MessageGears. They will most likely fulfill your needs. Marketing. Customer Service mass sends. Trigger campaigns. MessageGears has good consistent uptime and reliability. The portal has a lot of benefits including the rankings of the accounts, trends within the accounts, the email html and spam assassin scores. One of the features I use the most often is the bounce downloads for the daily sends for an account. MessageGears support has been very responsive and helpful. My number one dislike is, within the portal, not being able to search by date for all accounts. Also, having the bounces viewable by send instead of date would be helplful. Usually, I'm digging around looking for a customer who has caused an issue with their sending resulting in a blacklist or blocking. Or my other main use case is determine why an account/customer is having deliverability problems, this is when the bounce detail really comes in handy. Hybrid Infrastructure. Data resides with the customer. Cost.Support Model. None so far. Message Gears have been very supportive of addressing the features and needs of the customer. Transactional & Promotional Email Delivery to the customers. 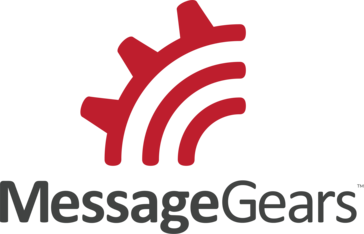 Message Gears serves as a viable email server for the software company that I work for. I like that the interface shows error messages in a clear, concise format. I would like to see the subject line included for individual email sends for testing purposes. We often deal with clients that send out many email sends in a single day and the subject line would greatly benefit. Working with an Email Marketing software company, the benefits of Message Gears have been invaluable. Speed of development, and flexibility of the templating language. Allows for components to be used in multiple campaigns. Organizes files well. Definitely the error message list. I have found it to be more helpful than our other server's error messages, especially when I need to resolve an error on an email send. The UI is somewhat lacking. It's not always the easiest to navigate. My company actually uses another server (in addition to MessageGears) to help with processing emails. One thing that has stood out to me about MessageGears though is the error messages. Our other server doesn't always give the best error message when an email doesn't send/deliver. However, one time I was checking error messages for a particular send on MG and found a message that helped me resolve the issue with that email. I'm glad for the functionality there as it can help point me in the right direction faster than our other server. In fact, this morning I was wishing that an email had sent through MG so that I could check the error list there instead of our other server. "Significant improvement over other bulk email providers"
MessageGears gives us the ability to self-host our database, which significantly reduces our TCO. Also, MessageGears has powerful integration with our data warehouse. The upgrade process can be a bit cumbersome, and troubleshooting application errors (especially tracebacks generated from template rendering) can be obscure. User management is onerous; it would be preferable to use some sort of SSO instead of making our colleagues remember yet another password. We maintain a consistent look and feel in our email campaigns thanks to the template library system, and can precisely target email recipients by querying against our data warehouse. Also, the role-based access control enables less technical colleagues to effectively use the system. Everything is easy to find. Love the search option to quickly find projects I am working on. There is nothing I particularly disliked about message gears. I mostly use it to build emails. I am using it to build and send emails. Love the text launch and how to shows that it would look like if I were to send it. "Useful Platform - Terrible Interface"
The ability to look up a email based on id. When loading the accounts page, I've noticed that all of our accounts (thousands) all load at once on the page and then are hidden in a multi-page searchable frame. This causes extremely long load times and can be frustrating. I also find it very difficult to search for specific emails based on subject line. I would recommend this platform to anyone who needs a reliable back-end email delivery system and doesn't mind a interface that is less robust. Overall I find the product to be easier to use and more reliable than azure send. Ease of use to find the emails we sent to our customers (primary reason I used the program). I was able to find the above information because I was trained on the exact thing I needed to do, however, if I need to do something else, it takes a bit to find the correct menu. "Better experience compared to Exact Target"
Product itself and ability to expand/incorporate new features based on the client requirement. Support Staff is awesome and response time is very fast. Initial Documentation and need an improvement. have more descriptive documentation for each of the areas. Transparency with End-to-End system. Like the status, efficiency and feed back loop. "MG is quick and efficient"
"Great service backed by great professionals"
The MessageGears team is super-responsive on the rare occasions that we need to contact them and ask for help researching a challenging issue or a change in how something works. Their platform is rock-solid reliable, and they have always gone above and beyond for anything we've needed. There's very little I dislike about MessageGears. They have been a key partner of ours in helping us to grow our marketing automation platform. The quality of their email delivery engine and their expertise in the email space has been invaluable. The layout of the feature is easy to use and the support staff is always prompt and able to answer my questions. I hate that they have removed the ability to view individual/transactional emails. If MessageGears gets back the ability to see individual emails then it will be perfect. I think using it is easy and quick. MG delivers our customers' emails without issue and it's easy to troubleshoot if something goes wrong on the customer's end. How quick the support team responds. The support team knows what they're talking about. I wish there was SSO login. Creating multiple emails just to login for multiple brands is not great experience. Sending marketing and transactional emails. For my job, it's very useful to be able to see exactly what HTML customers sent, what errors were generated, the SPAM score, and email statistics in real time. Recently, message gears got rid of their access to daily transactional emails. We are providing technical support for emails sent through Microsoft Dynamics CRM. It is very helpful for us to be able to see what customers are sending in real-time. Having a centralized system to handoff email templates and have the sending of campaigns taken care of. "Message Gears is great! They just need to add back the transactional messages in the daily summary"
I love the navigation. it's easy to use and very intuitive. It has really negatively affected our efficiency when using it since they removed the transactional information in the daily summary..
Give us back the transactional information in the daily summary. MessageGears just works. Very well. It's always available and reliable. Nothing in particular. We never had complaints. We want a cloud MTA for our email solutions. sometimes it takes a little time to load. "Quick Campaign Set Up and Deploy Process"
Best part of this product is its flexiblity. Can create a template and campaign pretty quickly and deploy same day. Had issues with csv versus xml formatted recipient files. Couldn't set campaigns to be sent further than same day. Template html content was not easily editable within the app. Able to send a bulk campaign to an unfiltered list of emails without harming reputation based off bounce ratio. none, the services provided suit the business need. Reliable delivery and service are key in making sure customer receives the communication. "Creation flow is confusing "
Emails sent reliably, you can always count on that. Setting up a template and campaign is confusing and takes a long time. Sending many emails to many users. Ease of use with the ClickDimensions software. "Clunky & slow and very limiting. " There wasn't anything that I viewed as good about MessageGears. But that very well could have been the instance we had. Slow, limiting, inefficient. We weren't able to segment effectively or see valuable email metrics. The company initial signed on with MessageGears from a security perspective. We then realized that other EMS provided security and let us be marketers at the same time. sending emails to users. benifits are the design just passes to the marketing team. I like everything so no dislike for me at all. "Flexible platform and greater customer support"
Not a big deal, but explicit definition of click rates, open rates calculation will be helpful. Since not all platforms follow one definition. Large scale emails with varying content at member level. Flexibility, ease of using recommendations from data science models. User Interface and speed of this tool is really good. Litmus feature is one another thing I want to highlight. Sometimes the error the error details wont be clear and in analytics would be great if we display number of unique clicks along with percentage. Everyone should give a try! "I use it every day!" GO for it! Solid product! We use it for message tracking & troubleshooting in my department, mostly. "MesseageGears rovides a great interface for looking into bulk email send"
* We monitor all MessageGears reviews to prevent fraudulent reviews and keep review quality high. We do not post reviews by company employees or direct competitors. Validated reviews require the user to submit a screenshot of the product containing their user ID, in order to verify a user is an actual user of the product. Hi there! Are you looking to implement a solution like MessageGears?